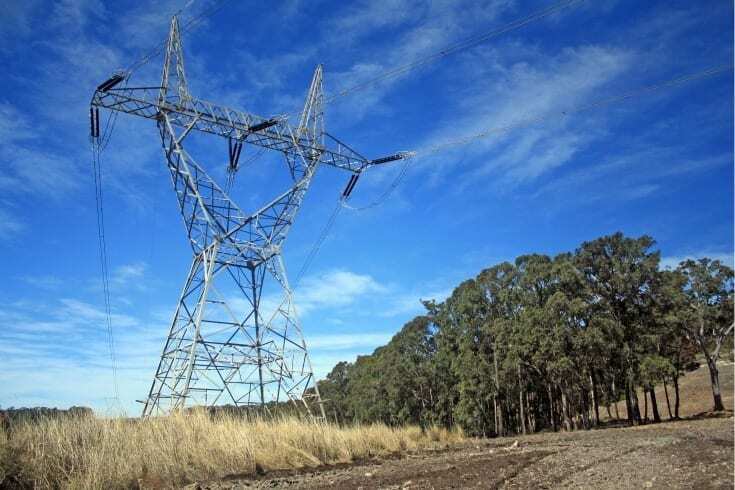 The Mt Thorley 66kV Transmission Line project was driven by the need to meet increasing demand for electricity at the Bulga Coal Complex associated with the Bulga Optimisation Project. Bulga Coal Pty Limited (Bulga) engaged Umwelt to prepare a review of environmental factors (REF) to assess the construction and operation of an overhead 66 kilovolt (kV) transmission line from Mount Thorley Switchyard to the existing 66kV Bulga Mining Complex overhead power line. The project included the construction of a 4.5 km 66kV transmission line consisting of three overhead main conductors, one optical fibre earth and concrete poles. The project included the construction of a 66kV power line and following completion, Ausgrid would undertake the ongoing operation and maintenance of the transmission line infrastructure. The REF investigated the potential environmental impacts associated with the construction, operation and maintenance of the 66kV power line and identified mitigation measures to address the impacts and to minimise any residual issues. Key issues for the project were identified as ecology, Aboriginal heritage and hydrology. Specialist assessments in the areas of Aboriginal heritage, ecology and EMF were undertaken to assist in assessing the environmental impacts. The REF concluded that the project is not likely to result in significant impacts with the adoption of a range of detailed management measures.